Now is the time to be thankful. 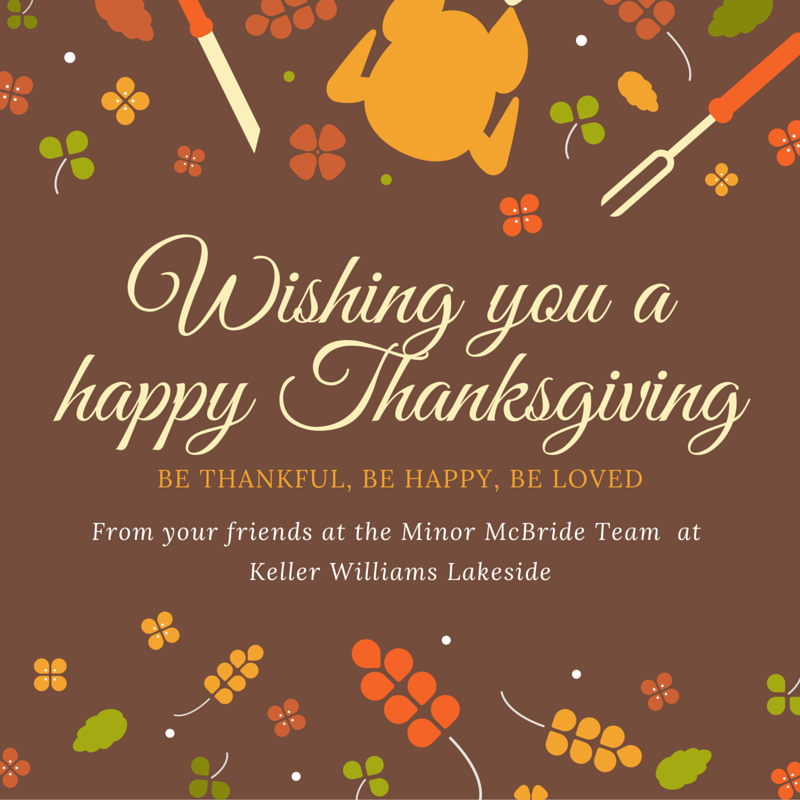 Over here at Keller Williams Lakeside the Minor McBride Team is thankful for many things. We are thankful for the support our KWL family gives us on a daily basis. We are thankful of each other, on a daily basis. Teamwork makes the Dream Work! We are thankful for all of our clients. They are a big part of our growth over the past few years. We hope your Thanksgiving is filled with family, fun and cheers.